The successful recipients of the 2016 National Dance Foundation of Bermuda’s Fund awards, bursaries and professional development are continuing their training at centres of excellence for dance overseas. A spokesperson said, “The Bermuda Ballet Association established this dance scholarship legacy in the 1960’s. In 2005 the National Dance Foundation of Bermuda assumed the responsibility for continuing the scholarships and over $1 million have been awarded thanks to the charitable generosity of individual and corporate donors in the community. “As a result there is an unprecedented number of Bermudians dancing professionally throughout the world. “Unanimous in it decision for the second year, the scholarship committee awarded its most prestigious Catherine Zeta Jones Award, valued at $15,000, in honour of Patricia Calnan to 20-year-old Marcus Smith. Catherine has been a staunch supporter of the National Dance Foundation since its beginning and her sponsorship of this award has insured its continuation in the future. “Awardee Marcus is an exceptionally talented young man and is already achieving an exemplary reputation at New York University’s Tisch School of the Arts where teachers say that he is one of their finest students in recent years. This award was presented by Detective Chief Inspector Nicholas Pedro, the son of Patricia Calnan. “The National Dance Foundation is deeply grateful to the Argo Foundation and Argo Group International Holdings CEO, Mr. Mark Watson III, for contributing $15,000 to provide funding to Bermuda’s talented dancers. The Argo Foundation Scholarship, valued at $7,500, is in memory of Georgina Mary Russell Hill, former member of the National Dance Foundation’s board and distinguished community humanitarian. “This has been awarded to honour-roll student, Eryn Beach, now in her final year at the Trinity Laban Conservatoire of Music and Dance in London. Dr. June Hill, daughter of Mrs. Hill, presented the award. 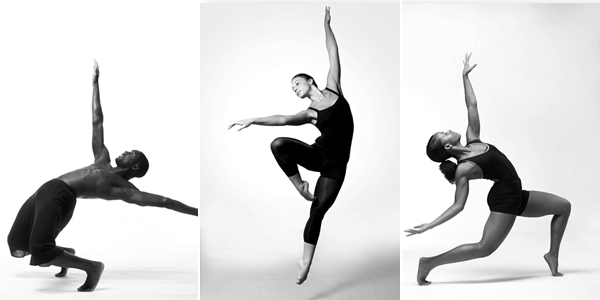 “The Argo Foundation’s bursaries were awarded to Taylor Railton, currently studying for a BA in Dance Performance at the State University [SUNY) of New York , 17- year -old Mikayla Wilson, a young talent studying dance at the Grier School in Pennsylvania, and Malachi Simmons, a former NDFB scholarship recipient and graduate of Edgehill University in the UK. “Malachi recently formed a pilot project called “Island Mentality” to establish a professional hub for Bermudian artists training overseas. He will soon be travelling to Los Angeles to audition for dance opportunities. President of the Argo Foundation, Elspeth Gray, presented these new awards. “BF&M and CEO, Mr. John Wight, have generously supported the BF&M scholarship in honour Mr. L. John Profit, a founding member of the Bermuda Ballet Association, since NDFB initiated a scholarship programme in 2005. “The BF&M scholarship has been awarded for the second year to 19–year-old Jada Pearman, a top academic student studying for a BFA at the University of Arizona and well on her way to a professional career. It is appropriate and appreciated that Ms. Gina Bradshaw, Vice President of Client Services at BF&M and personal friend of Mr. Profit, presented this award. “PartnerRe supported NDFB’s Master Class Series, teacher training programmes and Professional Development Fund for many years and this year has generously sponsored bursaries valuing $7,500. Twenty three year old awardee, Sasha Dill, has demonstrated unwavering commitment, perseverance, and a deep determination to study dance and has been awarded a bursary for her second and final year at the College of Lake County in Illinois. “Eleven-year-old Ravi Cannonier Watson began his studies at the Royal Ballet School at White Lodge last week. Ravi’s acceptance is nothing short of spectacular as he was one of only 12 boys selected after three auditions, which included 2,000 young dance applicants. “The inaugural Hamilton “Be More” Bursary Award, sponsored by the Hamilton Insurance Group and valued at $5,000, was awarded to 21-year-old Shanna Henry. Shanna is entering her junior year at Montclair State University and during summers she is immersed in Bermuda’s local dance community helping other young dancers. Mr. Claude Lefebvre, Chief Underwriting Officer of Casualty and Specialty at Hamilton Re, presented this new bursary. Congratulations to all especially Eryn. Well done keep up the good work everyone.